Pi Day Activities for Kids « Adafruit Industries – Makers, hackers, artists, designers and engineers! Pi which in Greek is written with the symbol π, is the ratio of the circumference of any circle to the diameter of the circle. It doesn’t matter the circle’s size is, the ratio will always equal pi. 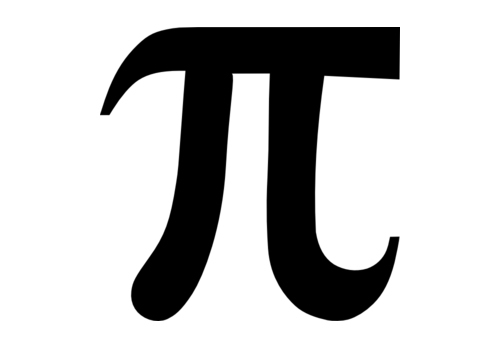 Pi is an irrational number meaning that it never ends. 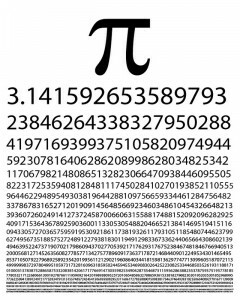 Mathematics is art so first enjoy the digits of Pi played in this beautiful melody on the piano by Audiodidakt314 on You Tube. 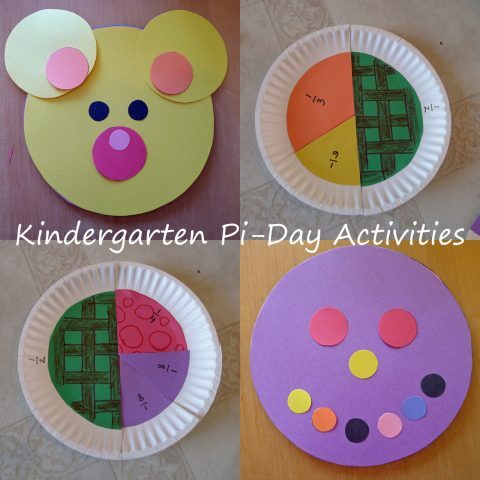 Here’s a round up of printables and activities for kids to help celebrate Pi Day! 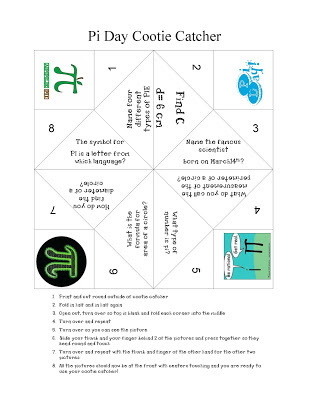 I love cootie catchers and this Pi Day Cootie Catcher from Teaching is a Gift has perfectly themed questions and answers for Pi Day. 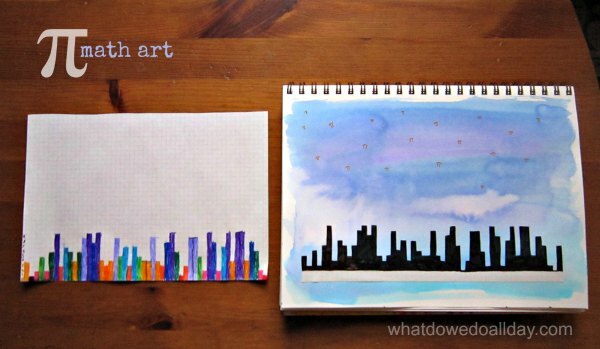 Here’s a fun math art project to create a Pi Skyline Art using graph paper by What Do We Do All Day. 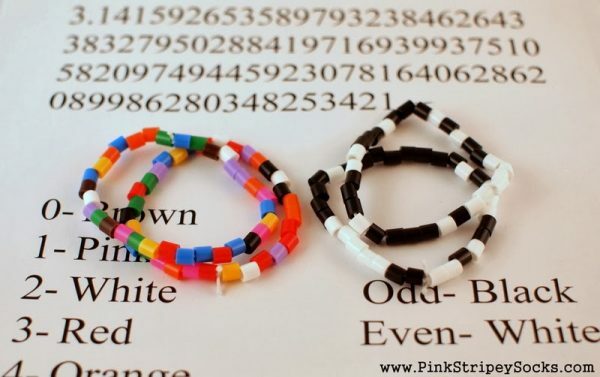 Pi Day Bracelets are a great way for kids to understand all the numbers. 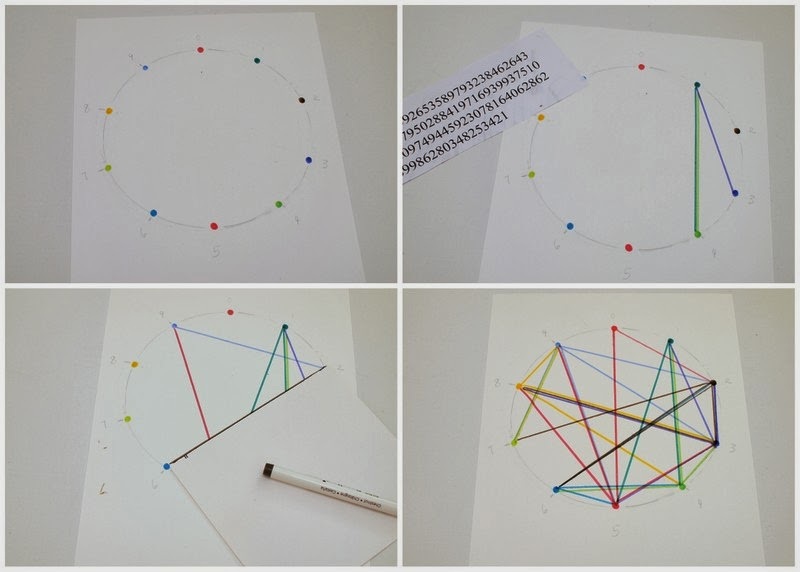 This project by Pink Stripey Socks has kids stringing beads of different colors to make a bracelet according to Pi’s digits. 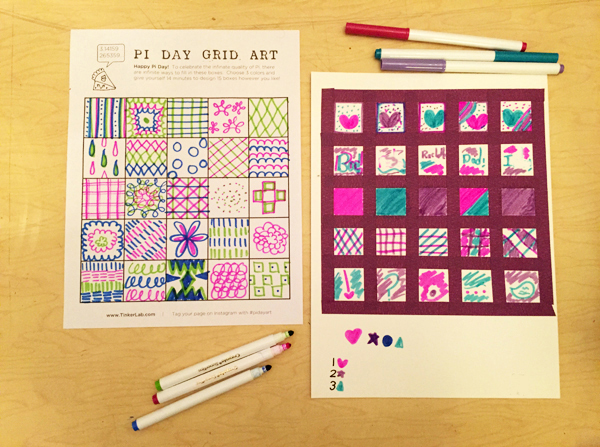 Tinker Lab has a printable Pi Day Grid Art where kids can choose 3 colors and give themselves 14 minutes to design 15 boxes however they like! Here’s Geometric Pi Art you can make by Pink Stripey Socks. And you are never too young to learn about Pi! Pieces by Polly is a Kindergarten teacher who has some fun and cute Kindergarten Pi Day activities for little ones regarding Pi.